At Mee, It's All About You! Today, many companies provide insurance for their employees, at an ever increasing cost, but the majority of those individuals whose health care isn’t covered by their employers are uninsured. That makes for a challenging environment. In an effort to meet both inpatient and outpatient needs of the hospital’s service area, Mee Memorial Hospital continues to fine-tune and expand, when appropriate, its inpatient services and outpatient services. In the past 15 years, a “new” Mee has been built adjacent to the old hospital and the second floor of that facility, which was a shell for a few years, has been completed. In addition to a myriad of hospital services, Mee Memorial has a network of five clinics to serve its clientele, four in King City and one in Greenfield. 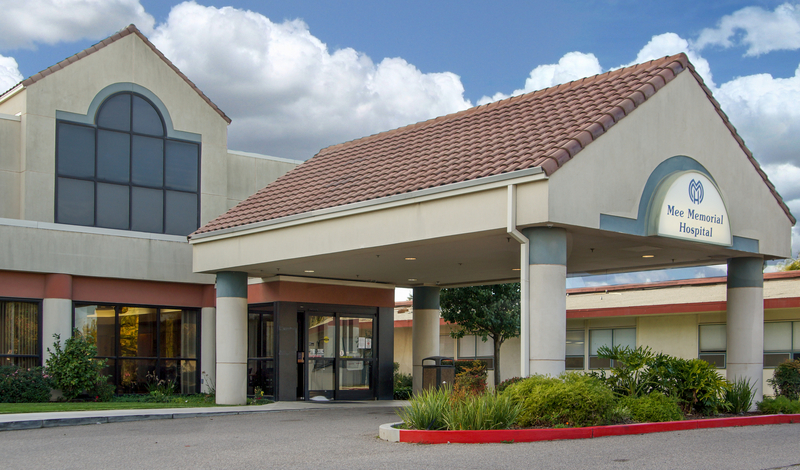 The hospital now has 94 licensed beds and in continually working to provide the best inpatient, outpatient and emergency services care for the people of South Monterey County. As this web site’s history page shows, it was the community itself that gave birth to Mee Memorial Hospital. The loyal support the hospital has received during its history, along with the dedication of the staff and board of directors, are, in large measure, responsible for the hospital’s longevity. The hospital very much appreciates and respects that support and strives to be good stewards of the community’s trust. But as the community and this hospital move forward, there is no greater defense of good health than personal responsibility. Eat well, exercise, learn what it takes to stay healthy, find a healthy balance between work and home life and wash your hands. Check out this video featuring Dr. Greenberg!